On August 16th, Ledgeview Partners, a Microsoft Dynamics CRM Gold Partner will continue our free user group webinars for Microsoft Dynamics CRM users. This month, our Dynamics CRM expert’s feature theme will be focused around a topic that plaques companies large and small – Data Management and Duplicate Detection. Sometimes it seems that no matter how hard you try and how much time you invest in cleaning your data, around every turn is another duplicate or bad piece of data. Luckily we have developed some tips and best practices that will help you fight the bad data battle within Microsoft Dynamics CRM. In addition to the featured topic we will answer user submitted questions that can cover any aspect of Microsoft Dynamics CRM (e.g. Using Advanced Find, Creating Views, Marketing Lists, Leads vs Contacts, Sales Process, and the list goes on and on). 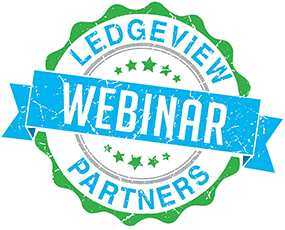 This webinar is open to all users of Microsoft Dynamics CRM – you do not need to be a customer of Ledgeview Partners (but we sure hope you will consider coming on board with us). If you are unable to attend on August 16th, this webinar will be recorded and provided after the live session “on-demand” to everyone that registers.